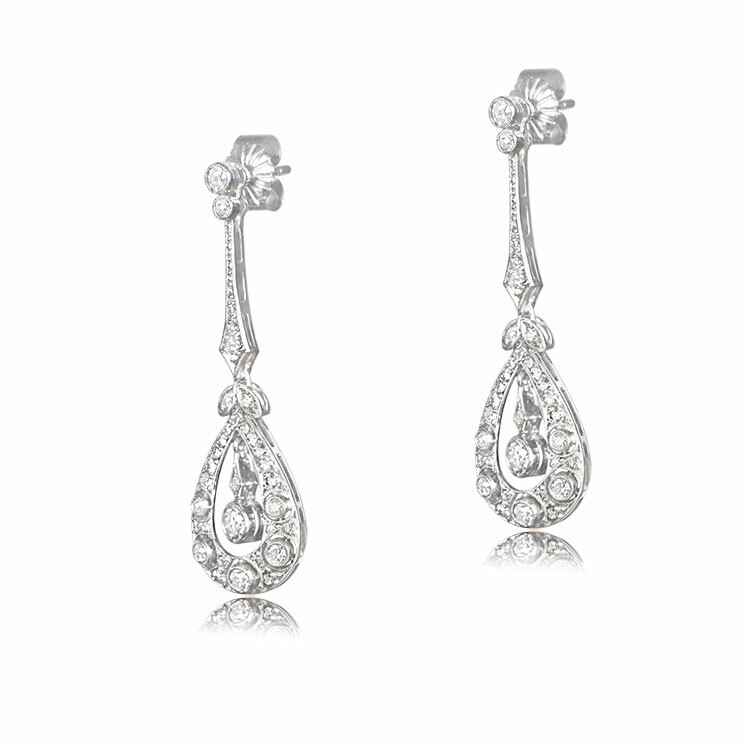 A lovely pair of Edwardian style Earrings, featuring a intricate details that was handcrafted using platinum. 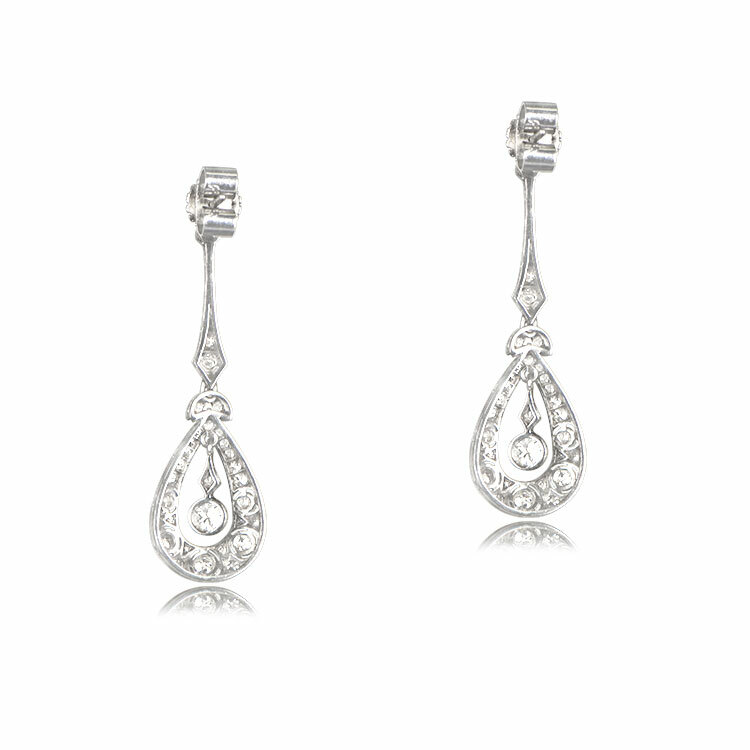 Old mine cut diamonds adorn the drops of the earrings. 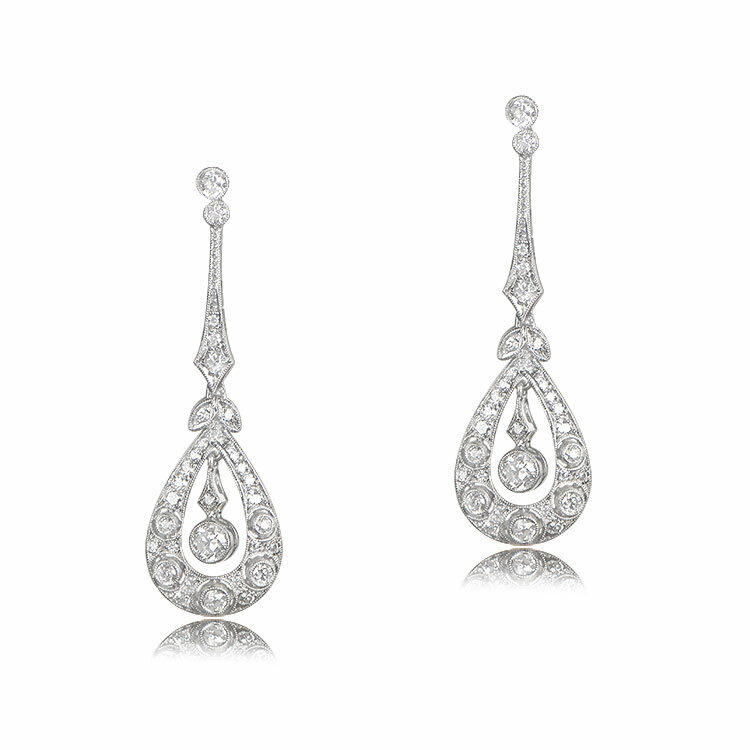 The total approximate weight of these earrings are 2.00 carats. 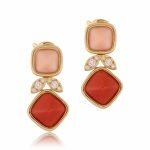 The earrings are hand-crafted and measure 1.75 inches long. If you have any questions, please feel free to use the email form. 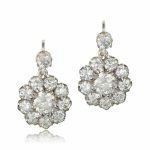 SKU: GS590 Category: Vintage Earrings - Contact us and request additional pictures.